You can see who made changes to a form or connection using the Audit Trail. 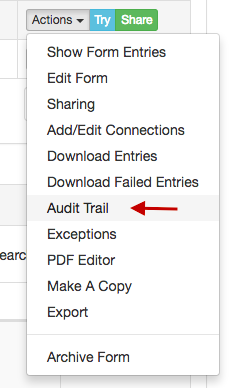 Please click on the form “Actions” button and select “Audit Trail”. This will list all form and connection changes. Please note that currently, it will only display the action, user, and date when the change was made.